Raufman, R., & Weinberg, H. (2016) Working with a Multi-Cultural Group in War Time- Three Metaphors of Motion and Mobility, in: Friedman, Robi, Doron, Yael (eds. ), Group Analysis in Israel, Karnac, London. Hopper, E. & Weinberg, H. (eds.) (2015). 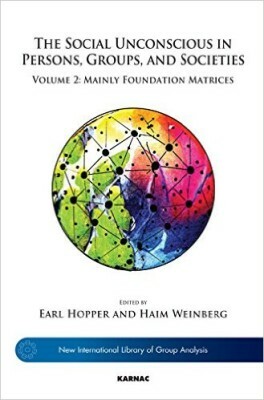 The Social Unconscious in Persons, Groups and Societies: Volume 2: The foundation matrix. London: Karnac. Hopper, E. & Weinberg, H. (eds.) (2015). The Social Unconscious in Persons, Groups and Societies: Volume 1: Mainly Theory. Prague: (translation into Czech). Hopper, E. & Weinberg, H. (eds.) (2015). The Social Unconscious in Persons, Groups and Societies: Volume 1: Mainly Theory. Israel: Ach pub (translation into Hebrew). Weinberg, H. (2014). The Paradox of Internet Groups: Alone in the Presence of Virtual Others.London: Karnac. Hopper, E. & Weinberg, H. (eds.) (2011). The Social Unconscious in Persons, Groups and Societies: Volume 1: Mainly Theory. London: Karnac. Schneider S. & Weinberg H. (eds.). 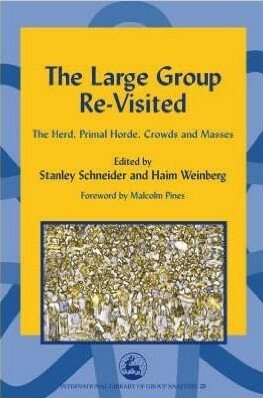 (2003) The Large Group Revisited : The Herd, Primal Horde, Crowds and Masses. Jessica Kingsley Pub. Raufman, R., & Weinberg, H. (2015). Working with a Multi-Cultural Group in War Time- Three Metaphors of Motion and Mobility, in: Friedman, R. & Doron, Y. (eds. ), Group Analysis in the land of milk and honey, Israel: Ach pub (in Hebrew). Nutttman-Shwartz, O. & Weinberg, H. (2012). Organizations in Traumatized Societies: The Israeli Case. In: E. Hopper (ed. ), Trauma and organizations, pp. 215-231. London: Karnac. Weinberg H, & Weishut, D.J.N. (2012) The Large Group: Dynamics, Social Implications and Therapeutic Value. In: J.L. Kleinberg, (ed.) The Wiley-Blackwell Handbook of Group Psychotherapy. Ch. 23.: pp. 457-479. NY: Wiley-Blackwell. Hopper, E. & Weinberg, H. (2011). Introduction: the social unconscious. In E. Hopper and H. Weinberg (eds. ), The Social Unconscious in Persons, Groups and Societies: Volume 1: Mainly Theory. pp. xxiii-lvi. London: Karnac. Kibel, H. & Weinberg, H. (2010). Der schwierige Patient in der Gruppe [The difficult patient in the Group]. In V. Tschuschke (ed.) Gruppenpsychotheraie [Group Psychotherapy] pp. 104-107 (in German).Stuttgart, Germany: Thieme. Kibel, H. & Weinberg, H. (2010). Widerstand in der Gruppenpschotherapie [Resistance in Group Psychotherapy]. In V. Tschuschke (ed.) Gruppenpsychotheraie [Group Psychotherapy] pp. 97-103 (in German).Stuttgart, Germany: Thieme. Weinberg H. (2009) Dunque cos’e questo Inconcio Sociale? [What is this Social Unconscious?] in J.O. Linares (ed.) L’Inconscio Social: La prospettiva gruppoanalitica [The Social Unconscious: The group analytic perspective] pp. 61-75. Edizioni Universitarie Romane (in Italian). Weinberg H. (2008) Using Art Therapy Technique in a Psychodynamic-Oriented Group. In S. S. Fehr (ed.) 101 Interventions in Group Therapy. pp.145-150. The Haworth Press. Weinberg H. & Schneider S. (2003). Introduction: Background, Structure and Dynamics of the Large Group. In S. Schneider & H. Weinberg (eds.) The Large Group Revisited: The Herd, Primal Horde, Crowds and Masses. Jessica Kingsley Pub. 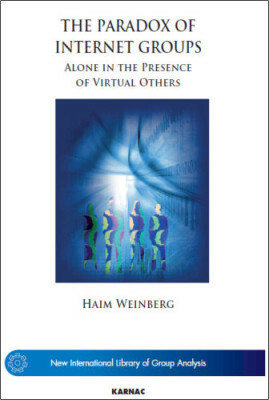 Weinberg H. (2003) The Large Group in a Virtual Environment. . In S. Schneider & H. Weinberg (eds.) The Large Group Revisited: The Herd, Primal Horde, Crowds and Masses. Jessica Kingsley Pub. pp. 188-200. Weinberg H. (2000). Group Psychotherapy and Group Work in Israel -1998. Co-published simultaneously in Fehr S.S. (ed.) Group Therapy In Independent Practice. Haworth Press Inc. N.Y., and in the Journal of Psychotherapy in Independent Practice. V1. Weber, R. & Weinberg, H. (2015). Group therapy around the world. International Journal of Group Psychotherapy. 64(3): 483–489. Raufman, R., Nesher, R., & Weinberg, H. (2015). Group therapy in Israel: History and Main Trends, International Journal of Group Psychotherapy. 64(3): 607–616. Weinberg, H. (2015). From the Individual Unconsciousness through the Relational Unconscious to the Social Unconscious. Canadian Journal of Psychoanalysis: 23(1):195-201. Weinberg, H. (2014). Commentary on “Social Positions, Scripts, and Functioning Dynamics: Phenomenology of the Egyptian Social Unconscious”. International Journal of Group Psychotherapy, 64(3): 345–350. Raufman, R. & Weinberg, H. (2014). Two Forms of Blindness in the Social Unconscious as Expressed in Literary Texts. Group Analysis, 47(2). pp. 159-174. Weinberg H, & Weishut, D.J.N. (2013) The Large Group: Dynamic Processes, Social Implications and Therapeutic Value.Mikbaz, the Israeli Journal of Group Psychotherapy. V18(1), pp. 27-44 (in Hebrew). Weinberg H. 2009. The Israeli Social Unconscious. Mikbaz, the Israeli Journal of Group Psychotherapy. V14(1), pp. 11-28 (in Hebrew). Weinberg H. 2008. The Large Group and Its Vicissitudes. GROUP, 32(4), 245-250. Nuttman-Shwartz O. & Weinberg H. 2008. Organizations in Traumatized Societies: The Israel Case. Organisational and Social Dynamics OPUS, 8(2), 138-153. Ditroi A. & Weinberg H. 2008. Concurrent therapy, Countertransference, and the Analytic Third. Mikbatz, the Israeli Journal of Group-Psychotherapy. 13(1), 9-26 (in Hebrew). Weinberg H. 2008. The Social Unconscious. Dialogue: Israel Journal of Psychotherapy. 22(2):149-157. (in Hebrew). Weinberg H. 2007. Groepsdynamica van grote groepen en internetgroepen. Groepen. Tijdschrift voor groepsdynamica & groepspsychotherapie (in Dutch). [Group Dynamics in Large Groups and Internet Groups. (Journal of Group Dynamics & Group Psychotherapy)] Vol. 2 (Special Issue), pp. 70-81. Enschede: PrintPartners Ipskamp. Weinberg H. & Schneider S. 2007. Ethical Considerations in the Large Group. GROUP, 31(3), 215-228. Weinberg H. & Ditroi A. 2007. Concurrent therapy, Countertransference, and the Analytic Third. GROUP, 31(1-2), 47- 62. Weinberg H. 2007. So What Is This Social Unconscious Anyway? Group Analysis, 40(3). pp. 307-322. Weinberg H. & Schneider S. 2007. The Large Group: Structure, Goals, Characteristics, Processes & Dynamics. Mikbaz, the Israeli Journal of Group-Psychotherapy. V12(1), pp. 39-52 (in Hebrew). Toder, M. & Weinberg H. 2006. The Group Through the Looking Glass. Mikbaz, the Israeli Journal of Group-Psychotherapy. V11(1), pp. 35-54 (in Hebrew). Weinberg H. & Nuttman-Shwartz O. 2006. Group Work and Therapy in Israel – mirroring a regressed – traumatized society. The Journal Organisational and Social Dynamics OPUS V 6(1), pp. 95-110. Weinberg H., Nuttman-Shwartz O., & Gilmore, M. 2005. Trauma Groups: an overview. Group Analysis, 38(2). pp. 189-204. Weinberg H. & Nuttman-Shwartz O. (eds.) 2005. Group and Trauma. Special issue of Group Analysis, V38(2). Weinberg H. & Toder M. 2004. The Hall of Mirrors in Small, Large and Virtual Groups. Group Analysis V37(4), pp. 492-507. Nuttman-Shwartz O. & Weinberg H. 2004. Community Intervention Model after a Terror Attack in Israel. The EGPS Newsletter Fall 2004 issue. Vol. XIV(2). 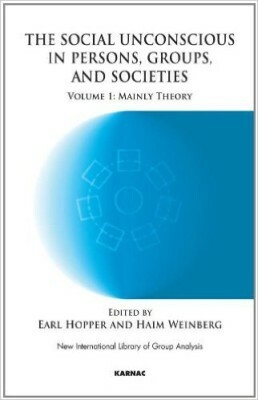 Weinberg H. 2003 The Culture of the Group, and Groups From Different Cultures. Group Analysis V36(2), pp. 255-267. Weinberg H. 2002. Community Unconscious on the Internet. Group Analysis, V35(1), pp. 165-183. Nuttman-Shwartz O. & Weinberg H. 2002. Group Therapy in Israel. Group, V26(1), pp. 5-15. Weinberg H. 2001. Group Process and Group Phenomena on the Internet. International Journal of Group Psychotherapy, V 51(3), pp. 361-379 .
of Psychotherapy. V14 (in Hebrew). 2014 Joint Guest Editor, Mikbaz, the Israeli Journal of Group-Psychotherapy. special issue, Internet Groups. 19(1) (in Hebrew). 2005 Joint Guest Editor, Group Analysis, special issue, Group therapy with conditions of Trauma. V7. Book Review (in Hebrew).